I speak to a lot of social marketers and I always enjoy the ensuing conversation after asking the following question: What’s more important on Facebook? Social media engagement or Fan growth? The thing is, social media engagement and fan growth are both important but in 2014 I noticed a trend of marketers dropping fan growth altogether to focus purely on engagement. Allocating zero ad spend towards acquisition activity became a badge of honour in the marketing community, suggesting the content was so good that it organically resulted in acquisition as a by-product of its creative brilliance. Of course there’ll always be some level of organic acquisition but unless you’re Old Spice or Red Bull, the scale just won’t be there. 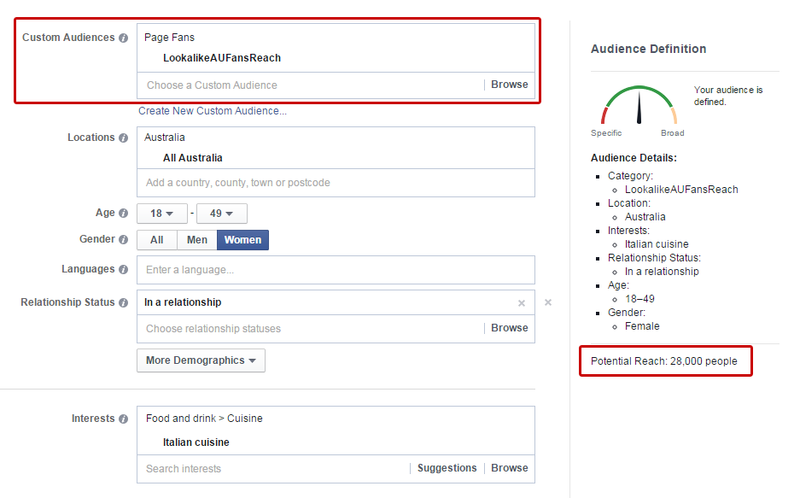 A key ingredient of effective Facebook marketing is having a mix of audiences you can target. For most marketers, your lowest Cost Per Engagement (CPE) on boosted posts should be to your fans. After all, these people have indicated an interest in your page and are much more likely to be receptive to your content versus people that aren’t fans. However if your fan base isn’t large, they may fatigue over time if you advertise to them frequently. There will likely be times when you’ll want to reach a broad set of people beyond your fan base, say during a marketing campaign for a specific period of time. One of the most effective ways of doing this is targeting derivative fan audiences such as Friends of Fans and Lookalikes. As the name suggests, Friends of Fans are people who are friends of your fans. People tend to associate with others who share similar interests, lifestyles, beliefs or values. This is the case online as much as it is offline. Friends of Fans are a powerful way to leverage the “network effect” of your existing fan base. Lookalike audiences are people who share similar characteristics of your fans. When Facebook launched Lookalike audiences in 2013 there was much excitement about its potential. You can create a few different types of Lookalike audiences but Fan Lookalikes are a great way to turn a base of say 10,000 people into a new audience of 150,000. Running paid acquisition activity refreshes and builds your fan base over time and by utilising these derivative fan audiences such as Friends of Fans and Fan Lookalikes you can exponentially reach more of your target users through your initial acquisition investment. You may be thinking to yourself, “But I can already reach a large amount of people if I target by demographic and interest”. 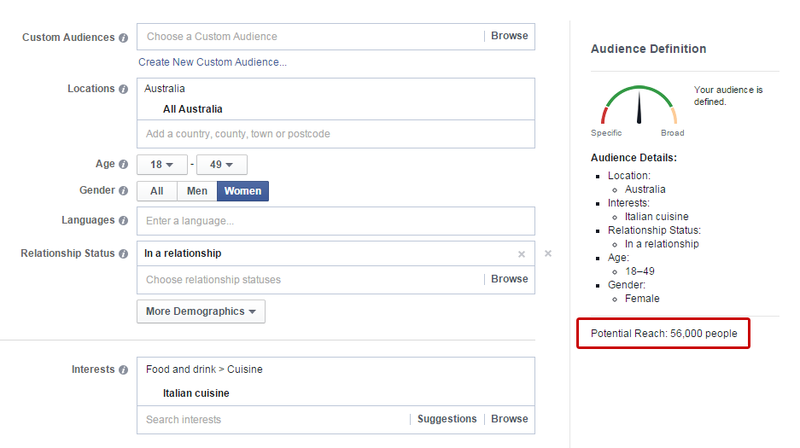 While it’s true that you can reach 56,000 Australians who are aged between 18-49, female, in a relationship and like Italian cuisine; you will likely find these audiences to be broad and may subsequently struggle to be relevant to them with your posts. 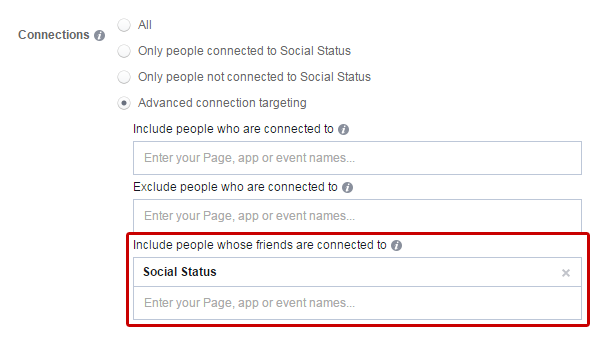 Because of this, you will expect to see a higher CPE on this broad targeting when boosting posts. That’s where the Friends of Fans and Fan Lookalike audiences come in. By using these larger audiences you can then overlay the same demographic and interest targeting and reach much more relevant audiences which should deliver lower CPE than broad targeting. Assign a monthly spend on Facebook advertising then think about the split between how much you’ll allocate to boosting posts and how much you’ll allocate to acquisition. If that split is currently 100/0, I’d encourage you to experiment with an 80/20 split or even a 70/30 split for a bit of a #yolo experience. 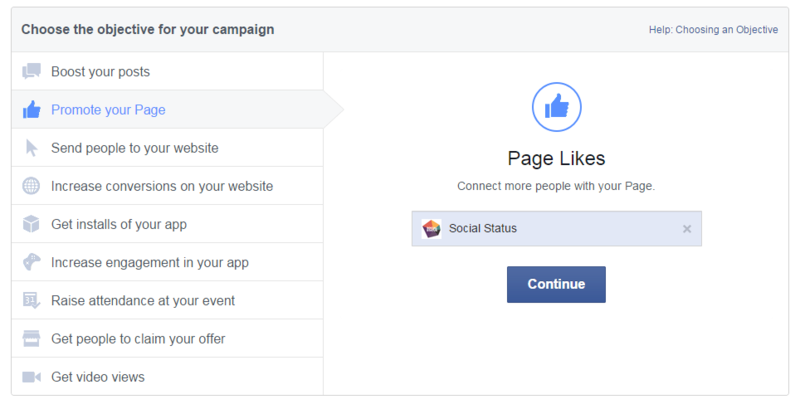 Write a short line of copy that succinctly sums up the value to the user of liking your Facebook page. 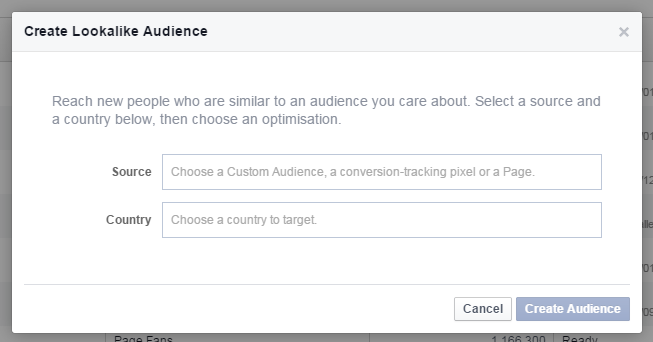 When it comes to targeting, make sure after you’ve set up your Page Like Ad that you click the “Create Similar Advert” button so you can run the same ad to a different audience. This will help you ascertain which audience is best for acquisition. You’ll want to keep your eye on Cost per Page Like once your ad is live.